Chinese manufacturer BYD has launched what it claims to be the longest electric bus in the world. The K12A is 27 metres long, seats 250 passengers and can hit a top speed of 70 km/h with a maximum range of 300km. It was designed primarily with South American markets and large cities such as Bogotá in mind, where the authorities want to replace the current extra-long buses with cleaner electric alternatives. 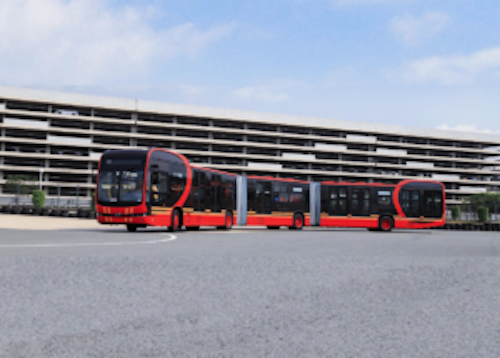 Passenger numbers on Bogotá’s BRT (Bus Rapid Transit) network have hit more than 2.8 million in a single day and so demand for vehicles like the BYD K12A is clearly there. What will your local service station look like in the future?